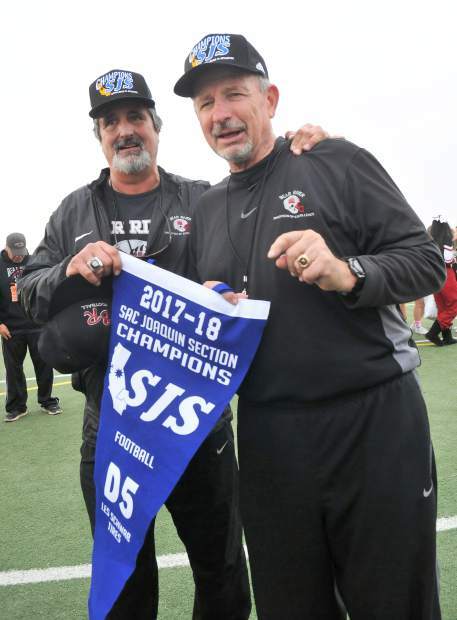 Bear River co-head coaches Scott Savoie, left, and Terry Logue led the Bruins to their second Sac-Joaquin Section D-V Championship in the last four years. Bear River's Trae Nix (66) and Tre Maronic (24) helped lead the Bruins to a 30-27 Sac-Joaquin Second D-V title against rival Colfax. 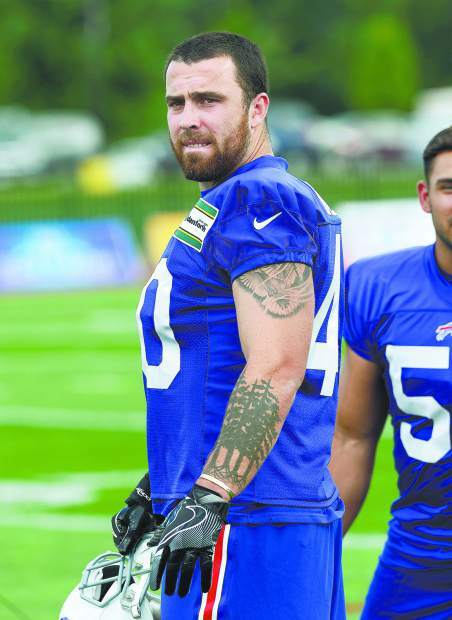 Tanner Vallejo, a 2013 Nevada Union graduate and a rookie linebacker for the Buffalo Bills, missed the regular season opner against the Jets with a knee injury. He was a full participant in Friday’s practice and is likely to make his regular season debut Sunday when the Bills visit the Panthers. 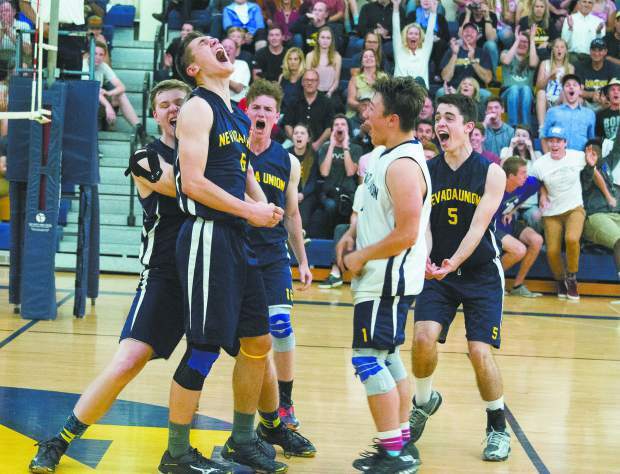 Nevada Union's boys volleyball team went 30-13 overall and 11-1 in Sierra Foothill League play to grab a share of the league title this season. It is the Miners first boys volleyball league championship since 2013. Nevada Union’s girls volleyball team tallied 34 wins and reached the Sac-Joaquin Section Division II title game. They would fall to Ponderosa in the championship bout, but the fight continued as they then went on to win a game in the CIF NorCal tourney. Dennis Houlihan stepped down as Nevada Union's varsity football head coach, ending a five year run at the helm of the Miners program. The Bear River High School baseball team's senior class members unveiled a memorial to former teammate Joe Rantz along the right field fence prior to their league opener against Center High School. For the year, Alexander Rossi tallied nine top-seven IndyCar finishes, including three in the top three and one win. He also earned his first IndyCar pole of his career. From historic postseason runs, to the resurgence of powerhouse programs and home-grown athletes realizing life-long dreams, the local sports scene had plenty to offer in 2017. 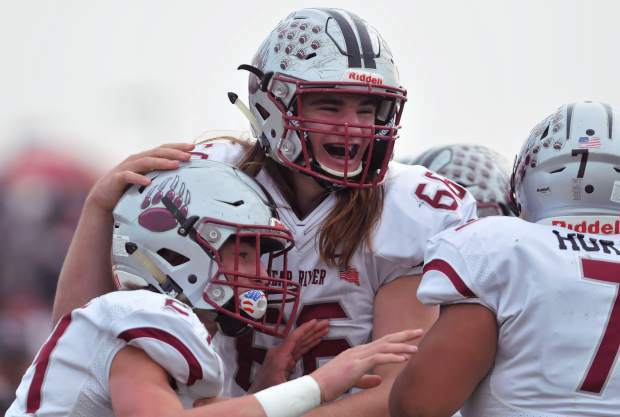 With legendary co-head coaches Terry Logue and Scott Savoie leading the way, the Bear River football team put together a season unlike any other in its history. After going 3-7 in 2016, the Bruins rose back to their usual winning ways in 2017. After going 7-3 in the regular season, including an overtime win over Center in the final week just to make the playoffs, the Bruins took down favored foe after favored foe in the playoffs to set up a matchup with rival Colfax in the Sac-Joaquin Section Division V championship. The Falcons had beat the Bruins handily earlier in the season, but Bear River wasn’t going to let that happen twice. The Bruins led from start to finish and claimed their third section championship in school history with a 30-27 victory over their rival Nov. 25. With the win in the section title game, the Bruins also earned their first ever bid to a CIF Northern California Bowl Game. They would fall on the road to Fortuna in that game, but the season will still go down as one of the best in Bruins football history. Nevada Union graduate Tanner Vallejo realized a life-long dream of his when he was chosen by the Buffalo Bills with the 11th pick in the sixth round of the 2017 NFL draft April 29. The 6-foot, 1-inch, 228-pound linebacker starred at Nevada Union and Boise State befoe being drafted. Vallejo went on to make the Bills’ 53-man roster and has played in 14 of the team’s 15 games this season. 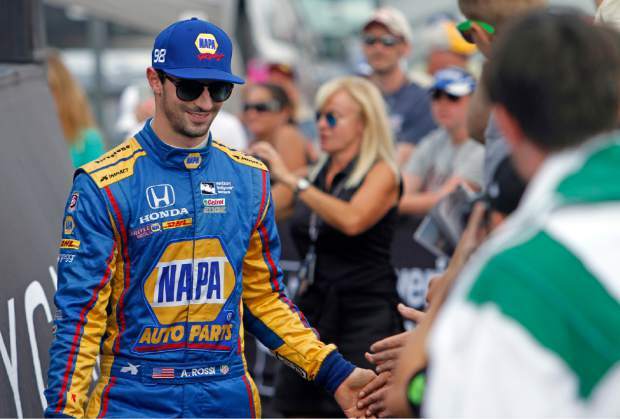 After Alexander Rossi blasted onto the IndyCar scene with a victory at the 100th running of the Indianapolis 500 in 2016 his name became well known in the racing world. The Nevada City native did not disappoint in his 2017 campaign as he was a regular at the front of the IndyCar pack. In his sophomore season, Rossi strung together six straight top-6 finishes, was seventh at the Indianapolis 500, won the pole at Sonoma and claimed victory at Watkins Glen. He finished the season seventh overall in the IndyCar points standings. 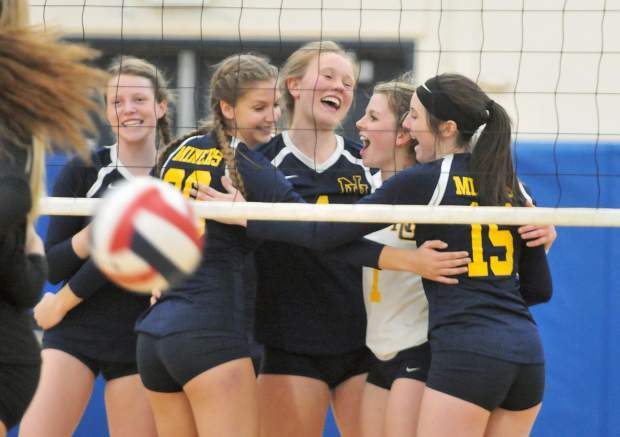 Nevada Union’s boys and girls volleyball teams both had impressive years. In the spring, the Miners notched 30 wins overall and won a share of the Sierra Foothill League title, their first since 2013. In the fall, the Lady Miners tallied 34 wins and reached the Sac-Joaquin Section Division II title game. They would fall to Ponderosa in the championship bout, but the fight continued for NU as they then went on to win a game in the CIF NorCal tourney before finally being ousted from the postseason. After five years at the helm of the Nevada Union football program, Dennis Houlihan stepped down from his role as head coach of the varsity team in mid-December. Houlihan, who works as a teacher at Silver Springs High School, was the third Nevada Union head coach since 1984, following past NU head coaches Randy Blankenship (1984-1990), whom he played for, and Dave Humphers (1991-2012). 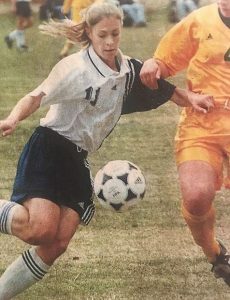 Houlihan, a Nevada Union graduate and former player, took over the varsity head coaching position ahead of the 2013 season. Across his five years as the varsity head coach, he tallied an 8-42 overall record and a 0-29 record in Sierra Foothill League play. 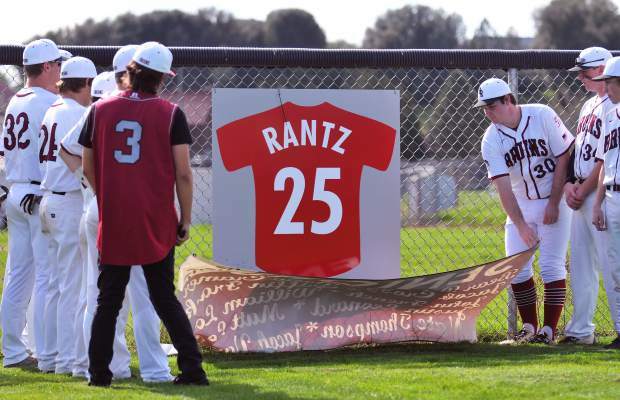 The Bear River baseball team held a touching tribute to Joe Rantz before their home opener in March. Rantz, a pitcher on the Bruins baseball team, was killed in a car crash Dec. 15, 2016. A sign with Rantz’s No. 25 jersey on it was hung in the outfield, and his father, Devon Rantz, threw out the first pitch wearing Joe’s jersey. 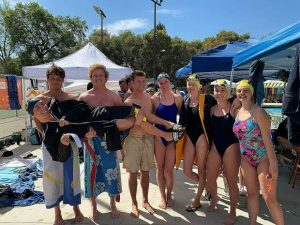 Nevada Union’s time in the Sierra Foothill League is coming to an end. 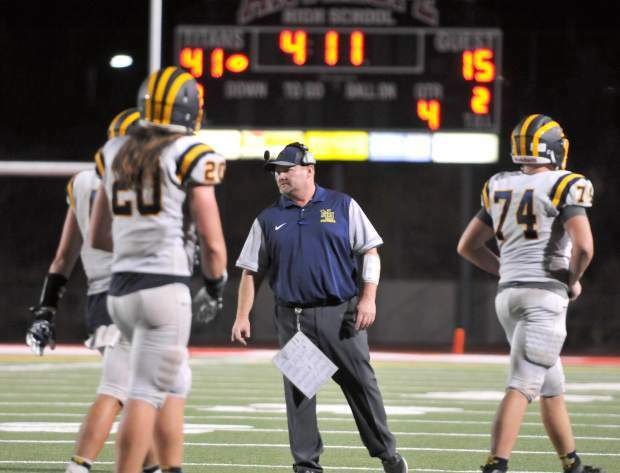 The Sac-Joaquin Section Board of Managers approved a realignment proposal in April that will take Nevada Union out of the SFL and put it in the Foothill Valley League along with five other teams. 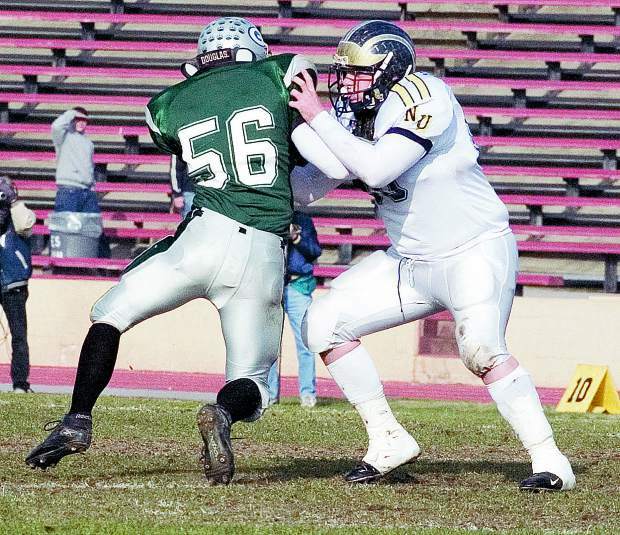 The reshuffling of the leagues takes place every four years in the Sac-Joaquin Section. This realignment will run from the fall of 2018 through 2022. 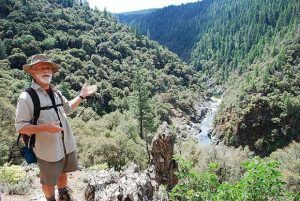 Joining Nevada Union in the Foothill Valley League will be Placer, Lincoln (of Lincoln), Rio Linda, Oakmont and Ponderosa. Bear River remains in the Pioneer Valley League, along with regulars Colfax, Center and Foothill. The league sends former PVL powers Placer and Lincoln to the Foothill Valley League. Newcomers to the PVL will include Lindhurst and Marysville, both formally of the Golden Empire League. The PVL will remain a Division IV league. Other stories and accomplishments of note include the Nevada Union’s girls cross country team earning a bid to the state championships for the first time in 13 years; Bear River’s Josephine Wilting accomplishing something no other Lady Bruin player has ever done before and winning a Sac-Joaquin Section Championship in tennis; Forest Lake Christian’s Amber Jackson earning the school’s first bid to the state championships in track and field; and 10-year old BMX racer Davian Casper winning a NorCal State Championship and a Gold Cup title.